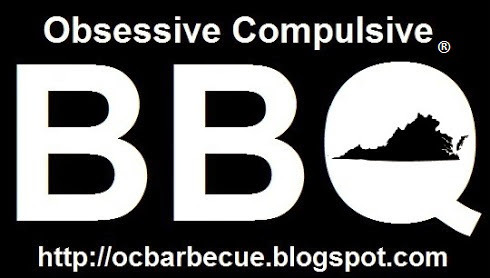 Obsessive Compulsive Barbecue: That Miserable Cook! The following is an article from The Daily State Journal (Alexandria, VA) February 12, 1873. 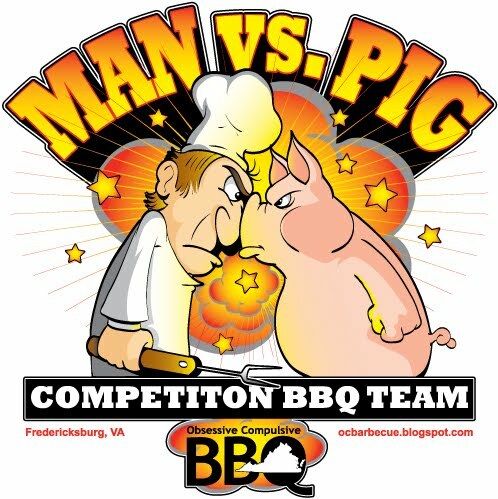 I bet there are a lot of barbecue cooks who can relate to this story. There's nobody, mum, that's so put upon as a cook, and cooking, is a buzziness that nobody never makes 'lowances for. Most o'bizzinesses can be done at one time's well's another. My brother, now, is a carpenter, and he don't have to git a door done by quarter past six or else the door be spiled. And there's Biddy, the chambermaid, if she don't finish sweeping a room when she ought to, the carpet won't go back to wool, or shrivel up to a crisp. And if she makes a bed all wrong from top to tee she don't have to throw the sheets away - nothin's hurt, and she just goes to work and makes it over again. But if I makes a bad mistake like that in a piece of meat, why in course it's spiled entirely, and don't the best o' folks make mistakes sometimes, mum? If I begins a roast jist a trifle too late, it's spiled all the same, or else folks is in a pet because I makes 'em wait a bit for it. I knows in a gin'ral way by the looks of a piece of meat jist how long 'twill take to roast, but things don't allurs work as a body cal'lates it - sometimes the meat weighs a half pound more or less, and sometimes the fire gits contrary. Most o' my work, and roastin' in particular - the thing most folks gits crossest about - can't be done and put away, till it's wanted, like dish-washing, and ironing, and sewing. It's to be done just to a turn and jist to a minit. A roast must go right straight from the fire to the table, as you know, mum, yourself, and sometimes folks is a little longer than common over the soup and fish, and how am I to know, mum? And then, if the meat is a little overdone, it's "That miserable cook can't even roast a piece of beef right!" And if it's taken from the fire, and kept hot, why that's jist as bad, and it's "That miserable cook! she has contrived to git the flavor out of the meat!" And if they are ready too soon, and the meat is too rare, it's "That miserable cook!" again.